Depend Real Fit Incontinence Briefs take their cues from your lifestyle and your needs. 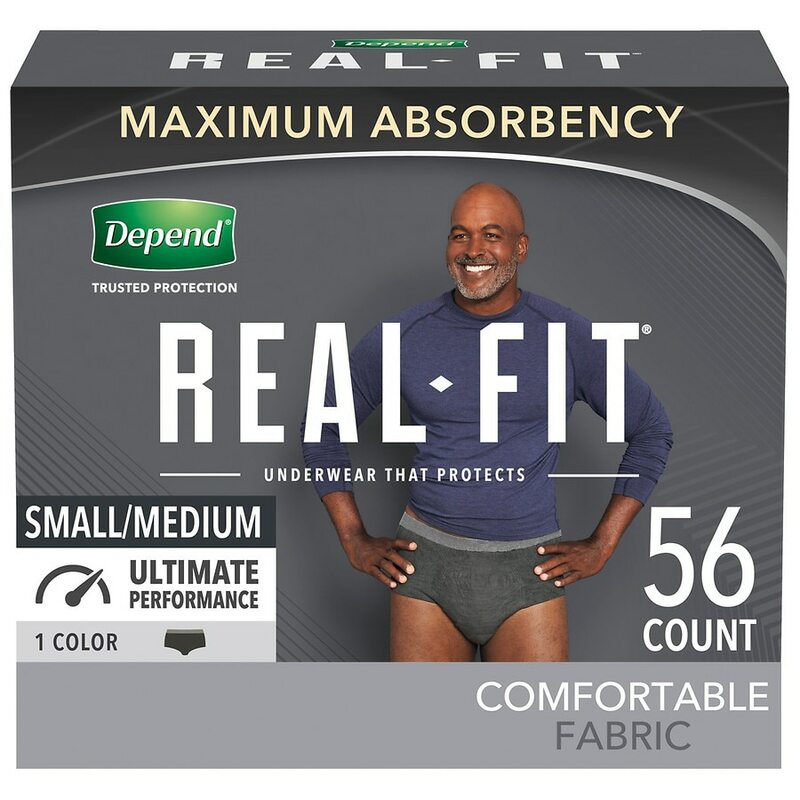 Now more breathable than ever, Depend Real Fit has the same trusted protection with maximum absorbency in a comfortable, soft fabric brief. The premium, masculine design has improved quality with a better feel than previous Depend Real Fit Briefs. The cotton-like fabric is soft, durable and stretches to move with you, while the elastic waistband provides a secure fit. Real Fit disposable underwear come in an exclusive range of colors, including black, grey and blue. Depend incontinence underwear for men are nothing like adult diapers and are latex-free, lotion-free and fragrance-free. 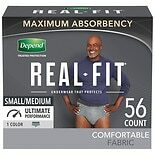 This package contains black Depend Real Fit Incontinence Briefs for Men in size small/medium, which fits a 28–40-inch waist. Explore this page for additional product benefits.